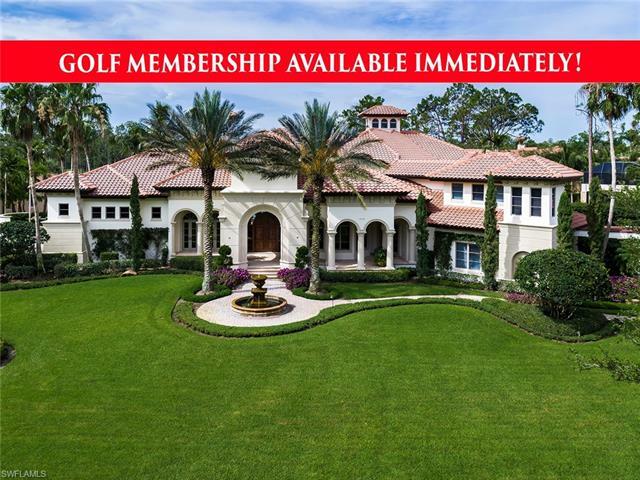 Extraordinary 4 bedroom + den, 4 full bath and 2 half bath estate boasts magnificent views from the oversized lot, including double fairway views of the tom fazio championship designed north course. This breathtaking estate features amazing designer elements including volume and tray ceilings with intricate detailing, crown moldings, expansive windows, faux finishing, arched passageways, intricate columns, gorgeous granite countertops & french doors. Other exquisite features of this elaborate home include a wine cellar, wet bar, impressive movie theater/entertainment area with 98 inch flat screen 4k led tv, fully automated lighting system, remarkable exterior lighting, 2 sparkling water fountains, 4 separate private patios, a courtyard & incomparable southwestern views from the outdoor lanai with a relaxing pool and spa. Guests will enjoy the private cabana with morning kitchen amenities. This home combines the perfect balance of technology, comfort and luxury in tropical paradise. H. 14439 - golf membership spot with home! Premier location with spectacular golf course and sparkling lake views! One of the finest estate homes and views in mediterra! Entertain on your expansive tropical lanai featuring western exposure. Show stopping pool, spa, fountains, lush landscaping and outdoor kitchen and bar. Meticulous details and finishes throughout the home. Soaring 20 foot ceilings. Gourmet chef's kitchen is a showplace of custom cabinetry professional appliances, 2 sinks and 2 dishwashers! Generator. Spectacular media room. Wine room. 2 washers and dryers in the home! Luxurious masters retreat with separate master baths along with a washer and dryer. Guest house with 2 bedrooms. 3. 5 car garage. The home comes fully furnished and lavishly appointed. You must see it to appreciate it. Award winning tom fazio golf courses, private beach club, pickleball, bocce ball and resort amenities. 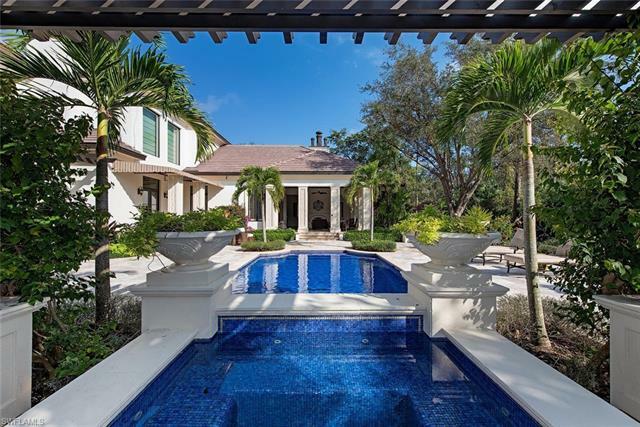 Located in the exclusive prato neighborhood of talis park with spectacular views of 14th hole, this property epitomizes the ultimate naples lifestyle. Every room of this home has been exquisitely crafted with both form and function in mind. First enter the grand 2 story foyer over-looking a magnificent water feature!! The main level is comprised of the spacious master retreat and three guest bedrooms, wine room, a kitchen with wrap around french windows and a formal dining space, perfect for entertaining. The grand french doors welcome you to a private organic culinary garden consisting of fresh herbs and fruit trees just outside of the kitchen dining. Sliding glass doors reveal an inviting outdoor living area complete with gas fireplace, outdoor kitchen, custom pool, and surround sound. Finishes are the highest level; features include extensive woodwork/trim, miele appliances, and top-of-the-line lighting and sound systems. This home is an absolute experience. See virtual tour!! Exclusive golf/gated award winning community of talis park!! Encompasses over 11,000 total sq. Ft with a 2017 addition bringing the home to 6 brs, 4 king bedrooms in the main house and 2nd floor office/balcony & casita. Private king guest suite!! All bedrooms are ensuite & comfortably support king-sized beds, including a huge master suite. New quartzite countertops in kitchen and sunken wet bar bar in lr, new painted white cabinets, dr, billiards/wine & entertainment rm, expanded lanai, outdoor fireplace & dr, custom infinity pool & spa! 2 tankless heaters, oversized garage. Nothing has been spared! Home automation, architectural details, exterior lighting, custom ceilings, natural gas, fire bowl! This hard-to-match, completely private tropical paradise await your family with arguably the best view in all of talis park! The south facing, stunning lake views overlooking the 15th green of the greg norman/pete dye designed course, rated in the top 20 of florida's finest! Talis park's vyne & clubhouse hosts 4 dining venues great hall, grill room, fiona's market, fitness, yoga/pilates studio, tennis, bocce, community pool/spa! Call today/see agent remarks!